A beautiful bathroom featuring the composition of mixed glass tiles. Tile size is 15 X 48 X 8mm with 3 different green colors mix together. 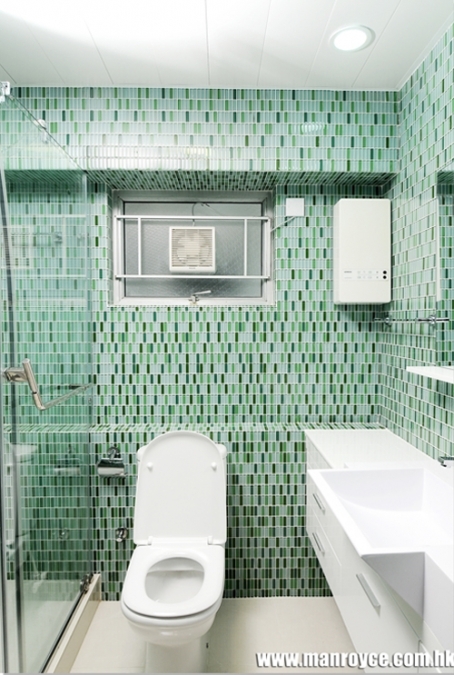 Glass Tile mosaics is the best material to be use in the bathroom as our glass tile is water proof and highly resistant to heat and chemical. Manroyce Global Limited © 2018 All Rights Reserved.